The 2016 Leading Diver candidates Alice O’Sullivan (DO), Charlotte Mellon (Secretary), Jonathan Dooley (Treasurer) and Jonas Misevicius (Assistant EO) obviously didn’t over indulge at the Pub Quiz last night. 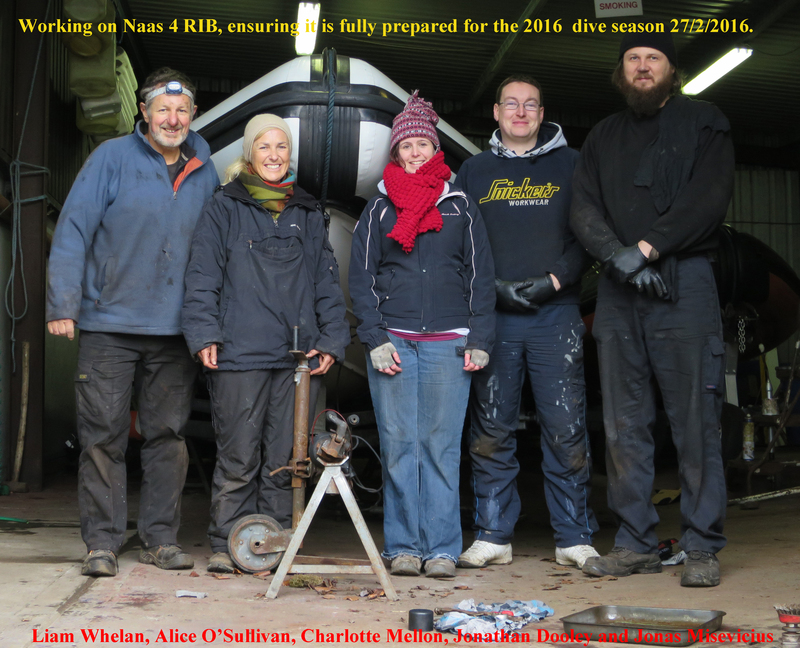 They were over in the club house working on Naas 4 trailer on Saturday morning, replacing the trailer brakes and wheel bearings, ensuring it’s road worthy for the 2016 dive season. The boat and trailer travels some 4,000 miles by road every year to some of the best dive sites off Ireland.